Today’s photo comes to us from one of our super cool Go Visit Hawaii facebook community members, Nikki Brown. 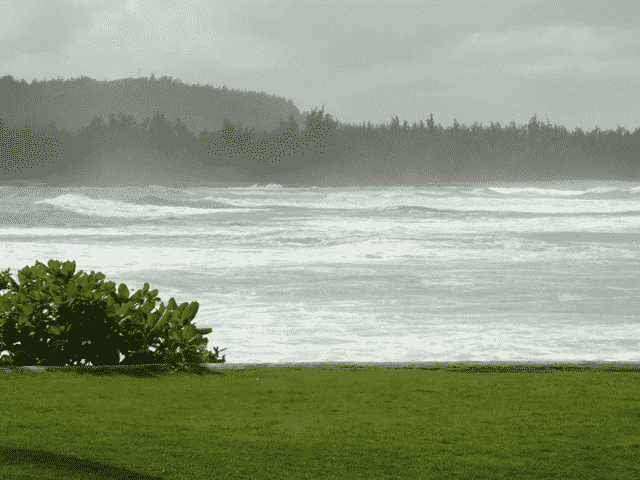 Nikki took this photo from Oahu’s Turtle Bay Resort on a December day when the high surf arrived. By looking at this photo, you can almost feel the sensation of the wind against your skin, can’t you? The phenomenon of Hawaii’s seasonal surf is certainly fascinating. Check out the photos from this Hawaii in Contrast Series that compares the calm summer surf to the active winter surf from this same vantage point at Turtle Bay. Mahalo to Nikki for sharing her photo!